Slam69 is a family run Bicycle Shop and Professional Workshop based in Gloucester, UK. make up the Slam69 team which bring you a Retail Store, a Workshop and an Online Store. We also design Smokestone Bikes, import Dartmoor Bikes to the UK and offer a huge range of brands, covering all styles of riding from BMX, Jump Bike, Mountain Bike, Fat Bike, Gravel and Road, not forgetting all of the styles inbetween. We pride ourselves in customer service and our aim is to give the best quality service, you can trust Slam69 with all of your biking needs! Our workshop can take care of everything you could ask for, from hand built wheels, custom building bikes to tweaking gears or fixing a puncture. Feel free to pop in for a cuppa. Slam69 - More than a Bicycle Shop. opening the Bigfoot Mountain Bikes shop in Southgate Street Gloucester, which lead to being the co-founder of the Bigfoot MBC cycling club. 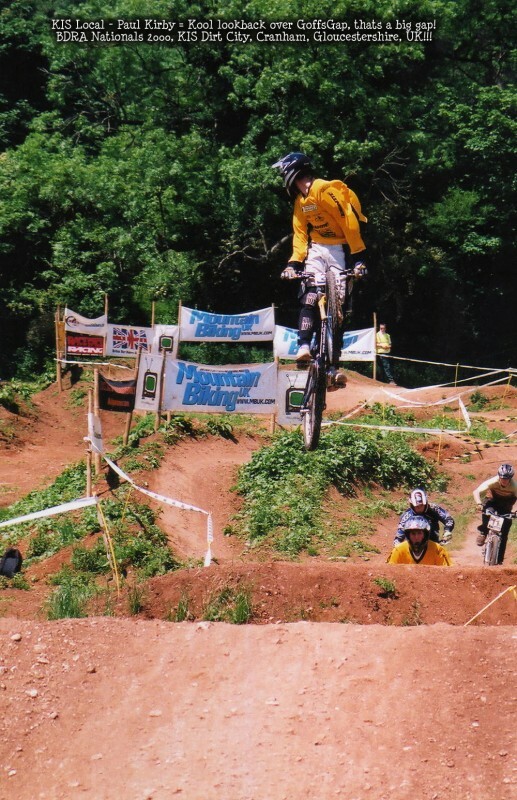 even attracting the Pro riders, Nigel Page, Rob Warner, Steve Peat and many more..
this is also when he started supporting and sponsoring racing teams. Slam69 continue to support and sponsor teams today which have been winning competitions and national championships over the years. Graham is also currently co-founder of Mean and Dirty Events. They work hard to get exclusive venues for offroad events in the surrounding woodland of Gloucester. 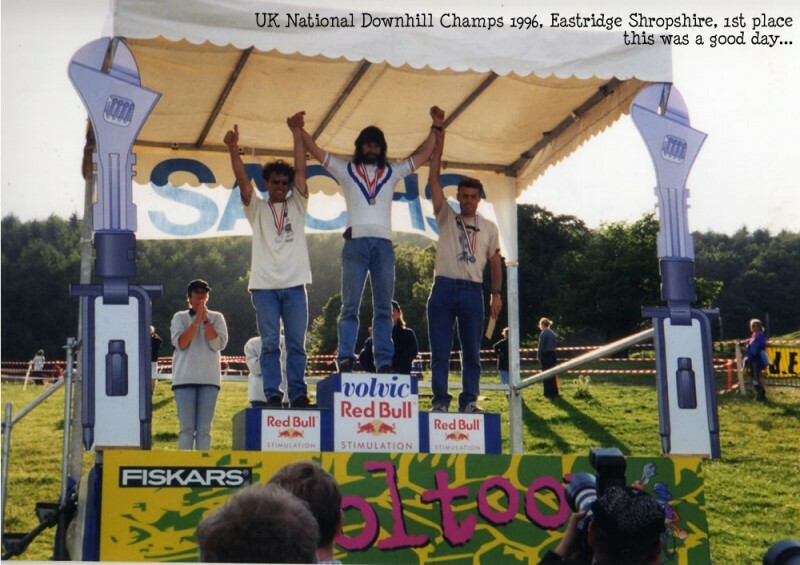 Graham has also competed in events himself, with a highlight of winning the UK National Downhill Championship in 1996. For years Graham would be spending his evening's building up and tweaking bikes in his garage at home. He'd then fix up bikes for family and friends, which quickly became their friends, and then their friends. He started getting in spares, special tools and parts for all the repairs and servicing. One day he took a look around and realised all of these spares and parts had built up an entire shop into the garage. He had tonnes of regular visitors and for all the local kids this was the meet up and hang out spot. 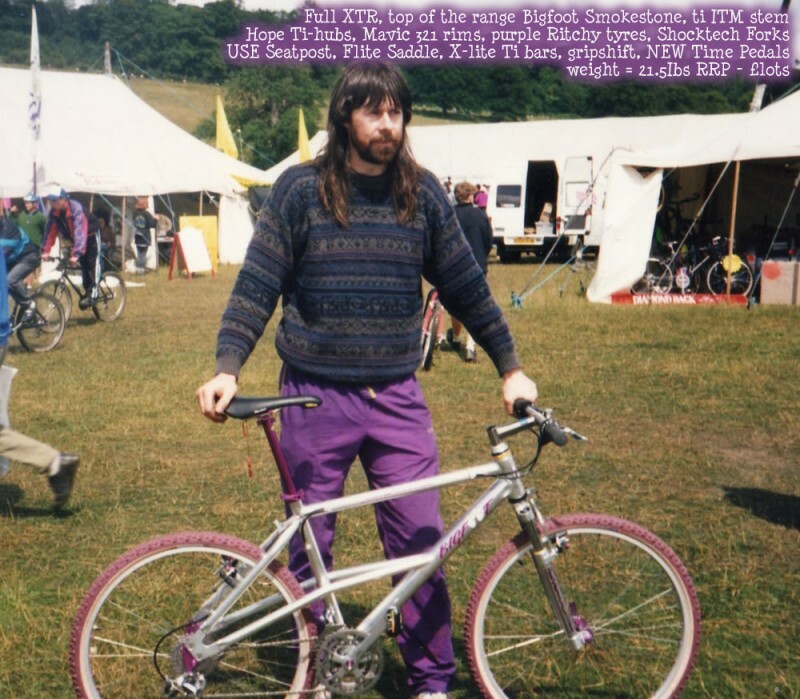 Graham's speciality was building up custom wheelbuilds and custom built bikes with components and colour scheme's that would make you drool. All of this attention and not to mention lack of space left in the garage, led to the start of Slam69 in 2010.
this lasted for 1 month as we quickly realised we were much bigger than the unit itself. After a search we found the perfect place to grow into, which is still our current location today in Gloucester Business Park Gloucester. We continue to update and change the shop to adapt to fit in all of the stock we hold. Along with the workshop growing to manage all of the repairs, servicing and builds coming through. With all of Graham's knowledge and experience, he's busy passing it onto to the whole Slam69 team as we grow bigger and better. Now it's all about supplying a great friendly service to our customers.